There’s been a lot of discussion lately around connecting Avaya (legacy Nortel) IP phones with third-party SIP capable call servers. I’ve personally toyed with Asterisk on a number of occasions and have always been impressed so I recently setup an Asterisk Now installation (AsteriskNOW-1.7.1-i386.iso) on a CentOS 6.2 KVM host so I could re-test the interoperability between the latest version of Asterisk (v1.6.2.20) and the 1100 and 1200 series IP phones from Avaya running SIP v4.0 and SIP v4.3 respectively. …this turned out to be an issue with SELINUX, so I had to edit /etc/selinux/config and disable SELINUX (a reboot is required for the change to take effect). Once I did those few steps I was ready to create some extensions so I created 1001 and 1002 and set their password (secret) to ‘abc123’. The Avaya (legacy Nortel) IP phones can be provisioned from a TFTP server so I installed a TFTP server on my Asterisk server using yum install tftp-server. Then I enabled the TFTP server with chkconfig tftp on and finally I had to restart xinetd with service xinetd restart. I placed the files I needed in the /tftpboot directory including 1220SIP.cfg, 1120eSIP.cfg and users.dat (these filenames are case sensitive on a Linux server – if you use a Windows server such as TFTPD32 then the case is not an issue). I configured my local DHCP server to offer DHCP option 66 (TFTP Server) and I was off and running. The 1220 and 1120e both booted, download the provisioning files from the TFTP server, and connected to the Asterisk server. I entered the username and passwords and I was logged in and running in seconds placing calls between the two handsets. I did have to re-configured the 1220 to AllAut before it would honor the settings in the TFTP provisioning file. 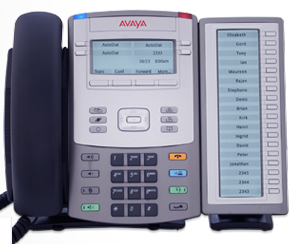 Avaya has released SIP software release 3.2 for their 1100 and 1200 series IP deskphones. 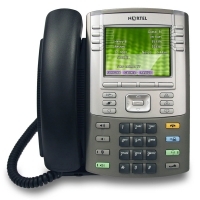 This release adds support for the 1120e, 1140e, 1165e, 1220, and 1230 model IP deskphones. The Standard feature set is now available on all desksets without a token. This provides a basic set of SIP features conforming to RFC 3261 (SIPPING 19) at no additional cost. 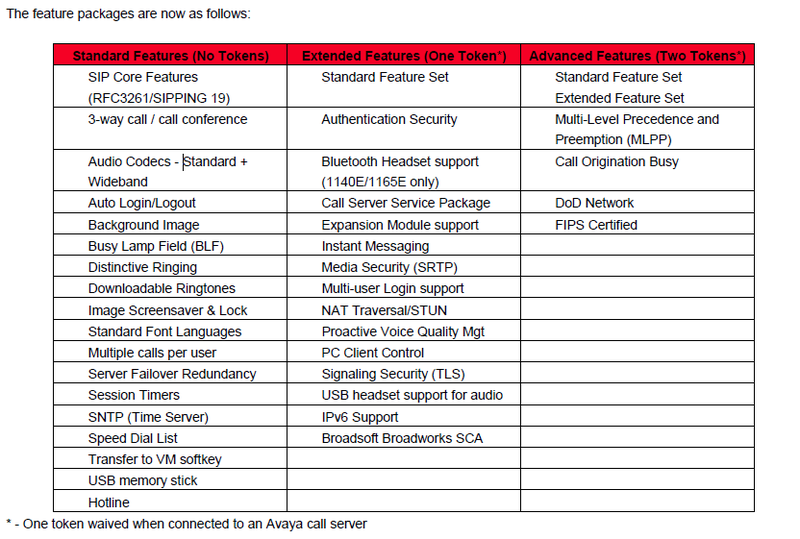 Now, when the phone is registered to a recognized Avaya call server (Avaya AuraTM, AS 5300, CS1000 or CS2100), the Extended feature set is available as well without a token. 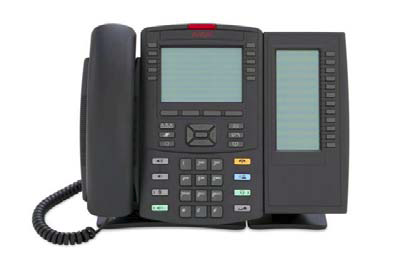 If you connect your IP deskphone to a Avaya Call Server (Avaya AuraTM, AS 5300, CS1000 or CS2100), you’ll get all the standard features you would get with the UNIStim firmware. The licensing really only comes into play if you decide to connect your Avaya IP deskphone to a third party call server or SIP provider. Please make sure to review the product bulletin and the readme for all the details. Avaya has released SIP software release 3.0 for their 1120E and 1140E IP deskphones. (There was no mention of the 1110E, 1150E, 1165E or 1200 series IP phones in any of the accompanying material). Several enhancements have been included in SIP Release 3.0 for the 1100 series phones including User Interface and Preferences enhancements, Multi-user Login, Emergency Services support, USB device support, Wide-band Codec, Provisioning and Licensing. The SIP software Release 3.0 for IP Deskphones also continues to improve the overall quality of the IP Deskphone software through the delivery of ongoing resolution of CRs. Numerous quality improvements have been delivered and 9 customer cases have been closed in SIP 3.0. The Multiuser feature in SIP Release 3.0 allows multiple SIP user accounts to be in use on the IP Deskphone at the same time. Multiple users, each with their own account, can share a single IP Deskphone allowing each user to receive calls without logging off other users. One user can have multiple user accounts (for example, a work account and a personal account) active at the same time on the same IP Deskphone. You can register each account to a different server, and for each account, the IP Deskphone exposes the functionality available to that account. One account is considered a primary account and is used by default for most IP Deskphone operations. Each account is associated to a line key; the primary account is always on the bottom right line key of the IP Deskphone (this is the first key, Key 01), and an arbitrary key (including a key on an Expansion Module) can be selected for additional accounts. Initiate a call without pressing a line key (for example, by dialing digits at the idle screen and lifting the handset) uses the primary account. A running IP Deskphone is associated to a single profile that represents one configuration of the IP Deskphone with all relevant persistent data such as preferences and call logs. A different profile is associated to each account used as a primary account. The IP Deskphone can store up to five different profiles; the IP Deskphone takes data from the profile associated to the current primary account. A number of configurations are independent of profiles and tied directly to an account making them available to that account regardless of the primary account you use (for example, voice mail ID). The IP Deskphone receives and answers calls targeted at any of the registered accounts; the incoming call screen indicates who the call is for. You can place an outgoing call using any of the accounts; the account that you use is displayed on the dialing screen. When a call is active, information from both local and remote parties appear on the screen. 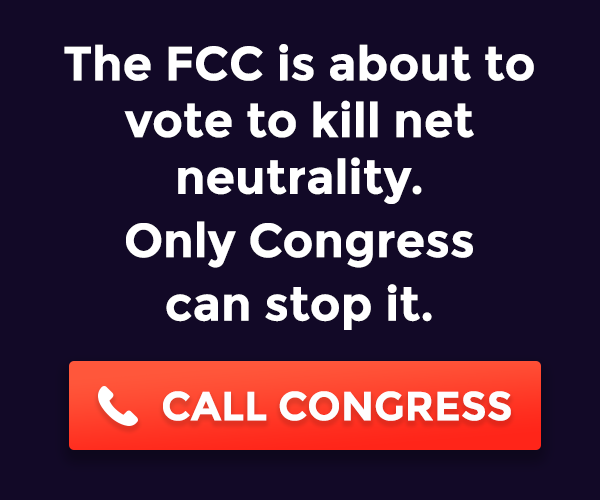 Regardless of which account receives the call, incoming call logs, outgoing call logs, and instant messages appear in a single list. 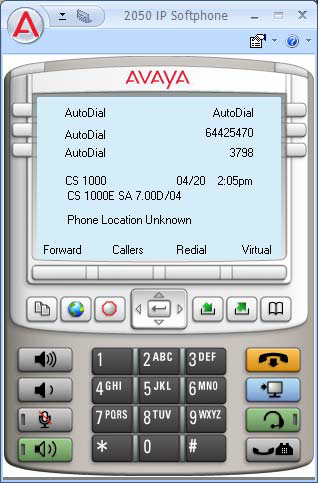 The IP Deskphone indicates the local user in the detailed view of the entry. Some features are only available to the primary account, such as instant messaging, retrieving parked calls by token, and establishing ad-hoc conference calls. Please refer to the product bulletin and the release notes for all the details. 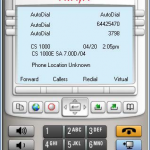 Avaya has released the IP Softphone 2050 Release 4.0 (Build 008) for the Microsoft Windows PC. (091203-63291) Unable to configure annotation feature keys in Expansion Module. (100312-14320) Configuration tool errors when applying Node/TN info. The configuration tool will now allow empty values for any parameter in the config.ini file and will not overwrite the registry entry if it is blank. This allows customers to upgrade to new configuration settings without changing selected values such as the Node/TN information that may already be set in the registry. I would suggest anyone interested review the release notes and the product bulletin.